Environmental activism disguised as music! It’s been a musical start to the year, behind the scenes at our Plot at Stanmer. At back end of January, we invited Unite the Beat along to one of our regular volunteer sessions. The team, made up of the dynamic musical couple, Emily and Malik, specialise in taking people out into the natural world and, through activities and play, awaken their musical talents – even if you didn’t think you had any in the first place! Unite the Beat guided us on a sensory rich afternoon, re-experiencing the plot through its intrinsic sound, and interacting with elements in it to create our own musical snippits. 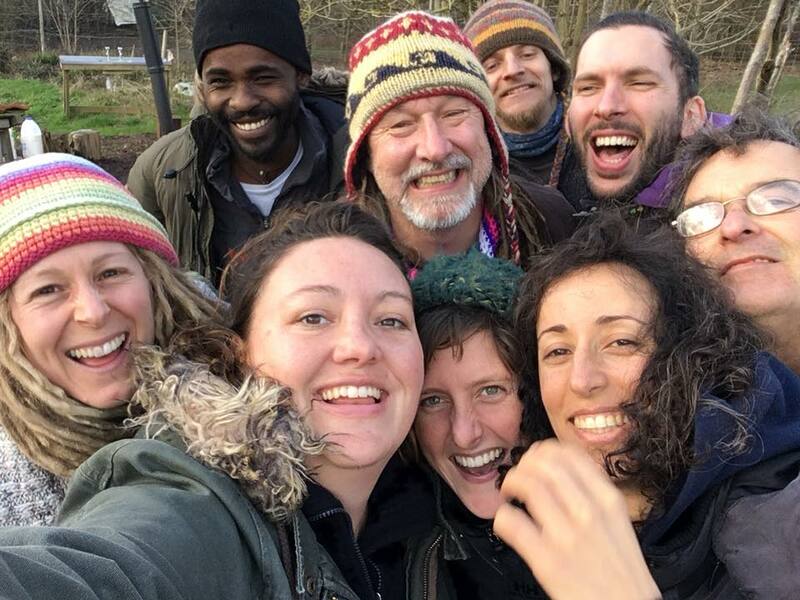 Who would have thought that the permaculture ethics are so rhythmic! After banging, stomping, twanging and rustling, we closed the day with a cup of tea and shared some moving spokenword and listened to some beautiful folk songs to celebrate the famous Scottish poet Robert Burns, coincidently born on the 25th January…. All our adventures and discoveries around the plot from that day were captured, recorded and edited by Unite the Beat. The music and readings performed by our volunteers for our Burn’s night celebration are now accompanied by foraged sounds from the plot, to make a wonderfully unique music video. Here is the resulting Rhythms from the Plot! While the majority of our time at the Plot is spent mulching, weeding, coppacing, drying, watering, discussing sustainable issues and eating the fruits of our harvest, we do also have days of crazy music and festive celebration! Get a hand on sustainability and -:- volunteer with us at the plot every Thursday rain or shine from 10:30-15:00. And, of course, Emily and Malik from Unite the Beat. Click to find out more about Unite the Beat and awaken your natural musical talents….. !